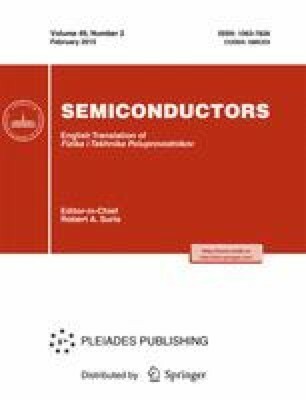 An approach toward simplification of the model of the tunneling transport of electrons through a thin layer of crystalline calcium fluoride into a silicon (111) substrate with subsequent implementation in simulators of semiconductor devices is suggested. The validity of the approach is proven by comparing the results of modeling using simplified formulas with the results of precise calculations and experimental data. The approach can be applied to calculations of tunneling currents in structures with any crystalline insulators on Si (111). Original Russian Text © M.I. Vexler, Yu.Yu. Illarionov, S.E. Tyaginov, T. Grasser, 2015, published in Fizika i Tekhnika Poluprovodnikov, 2015, Vol. 49, No. 2, pp. 266–270.